This long sleeve cuffed button-up shirt features extended tails and sleeve length (about a 38" plus reach) for added comfort. The shirt is made of a 7-ounce Poly/Cotton blend. 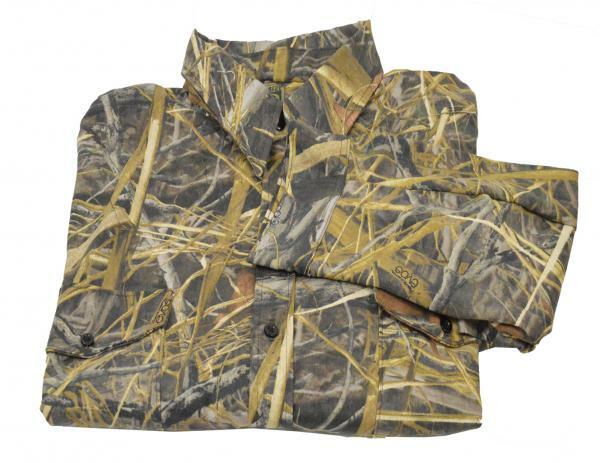 It features two front chest pockets with button closures. Same big, tall cut as we put on the others, and that Evos pattern is REAL GOOD LOOKING!